Monstrous Matters: Big ups to my buddy JR! I really should have posted about this earlier, but I suppose I'm better late than never on it! 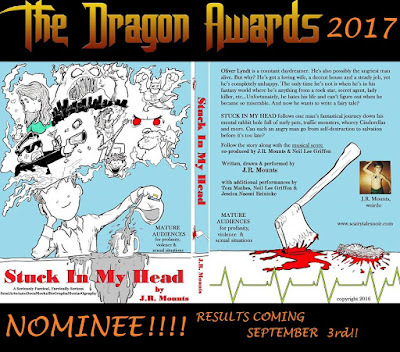 My friend and sometime collaborator JR Mounts...writer, artist, and musician extraordinaire, and as I believe I've mentioned on here before, one of the nicest guys you could ever hope to meet...has been nominated for a Dragon Award for his semiautobiocomic Stuck in My Head. This is the second year that these will be given out at Dragon Con, the absolute giant of the local convention scene, and I think it is absolutely awesome to see such a labor of love by an indie artist like JR alongside names like Clive Barker, Jim Butcher, and Phil and Kaja Foglio! 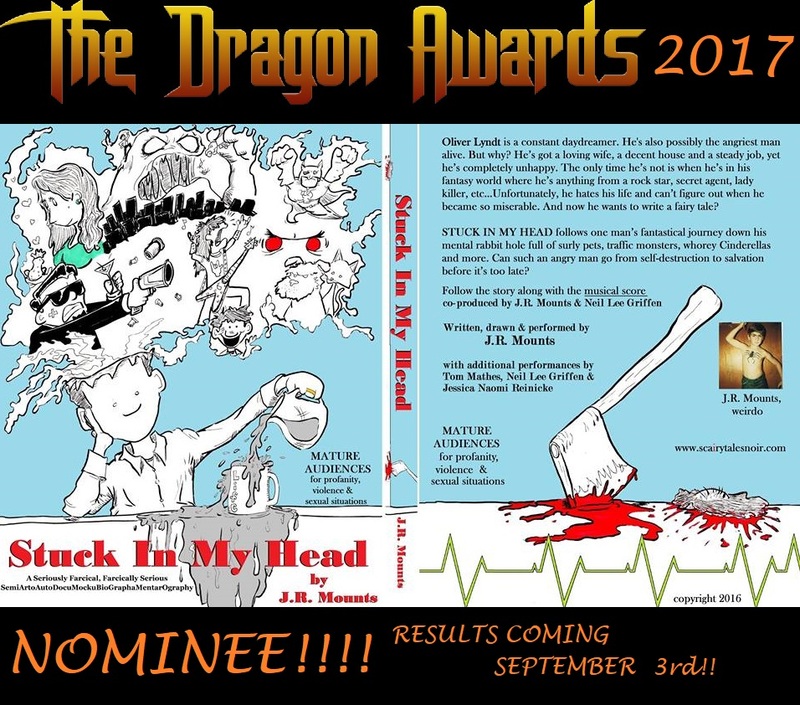 If you're so inclined, I don't think it's even too late to register and vote in this and all the other categories...! I just registered to vote. Good luck to your friend. Big thanks, man! My fingers are crossed for him!